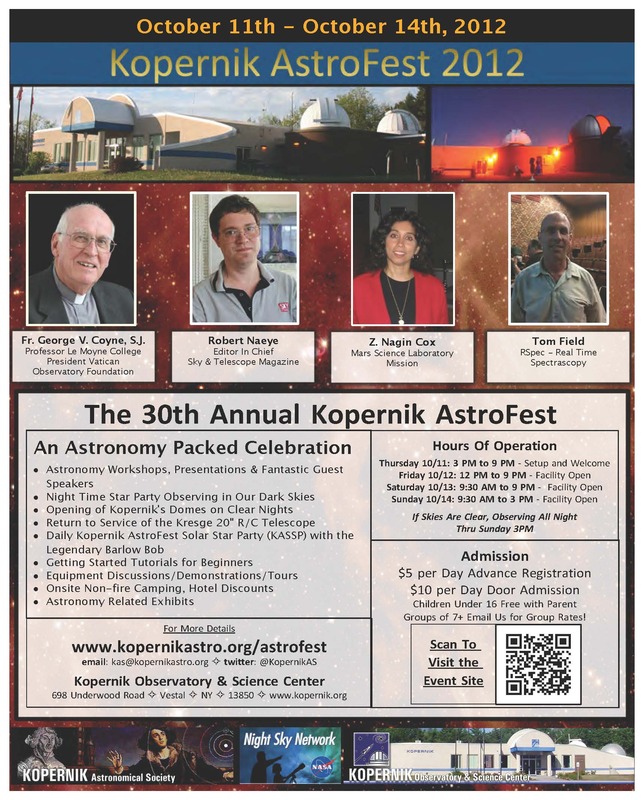 Check Out the Kopernik AstroFest 2012 Flyer! Packed with great speakers!! And Great Events!